I'm going to miss my district here. They have become such good and close friends. We actually plan to meet up after our missions. One of the hermanas actually has a boyfriend/fiancee in whom she will probably marry soon after. I plan on going to her wedding. Hopefully that all works out!! So. I have taken a ton of pictures, but it turns out I need an SD card reader thingy, so I might need to go get one...I think I'll do that. So you might not get pictures until next week. So I haven't been teaching very many people this week, but when I do...I actually enjoy it a lot. My Spanish is coming, but I ain't a genius or anything. I taught a lesson on splits cuz my companion has been sick the past week. Hermana Mansell and I taught one of our teachers roleplaying a man named Abraham. 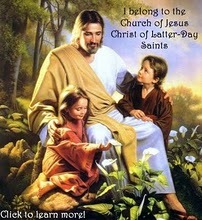 We taught the first lesson, and when we told him about Joseph Smith, I felt so right in my heart. It didn't matter that my Spanish wasn't very good. But I gave the first vision in Spanish to him! My companion said that it sounded awesome! I'm not a robot, yay!! I really am so excited to help people come to know their God, and His love for them!